There’s something weirdly liberating and satisfying about being out of your comfort zone. Even though this is typically reserved for making that leap in your life or trying a new hobby, it can definitely be applied to adding something new to your wardrobe too. I will admit that I feel 100% comfortable in a pair of black jeans; they’re easy to throw on, I can stand out or blend in with them and they go with literally everything in my wardrobe. However, I was looking at my clothes the other day and realised I’m just so bored with it all, I need to make a change. Now, I haven’t got a chunk of cash to spend on a new wardrobe (which is what I want to do ideally), so I started small with one piece that I want to build my A/W wardrobe around: the midi skirt. Skirts and me don’t typically go together. I’m ok with my legs and I don’t hate them or anything, but I’m so used to wearing jeans that they seem like alien territory. 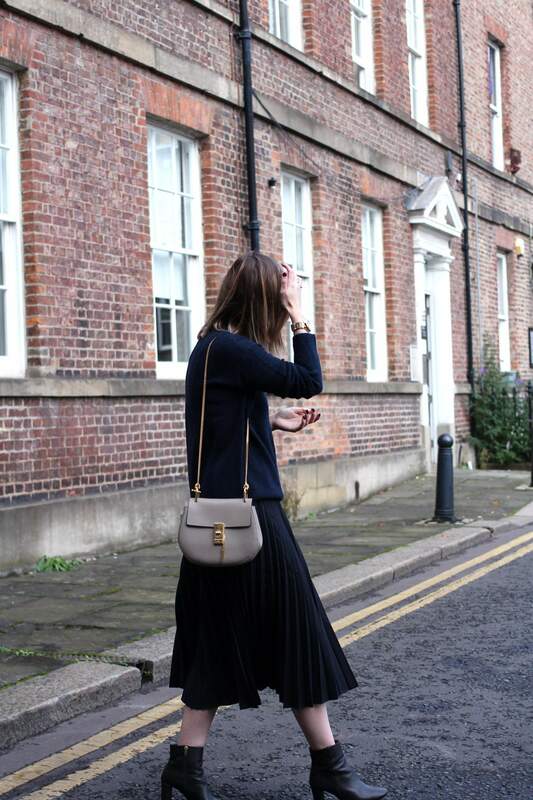 I’ve been totally obsessed with streetstyle photos of midi skirts and pinning them at every opportunity, so I decided to get out of my wardrobe comfort zone and try one out for myself. This may seem like a bit of a pathetic post to some – like so what Helen, you bought a skirt – but it’s an act of self-confidence to me, forcing myself to try something new and adapting my style to reflect those that I admire so much. Hopefully this can be the first step into not boring myself silly with my outfits and possibly mixing up my style in the future. It’s nice to step out of your comfort zone just a little every now and again, you’ll be surprised at what you suit!